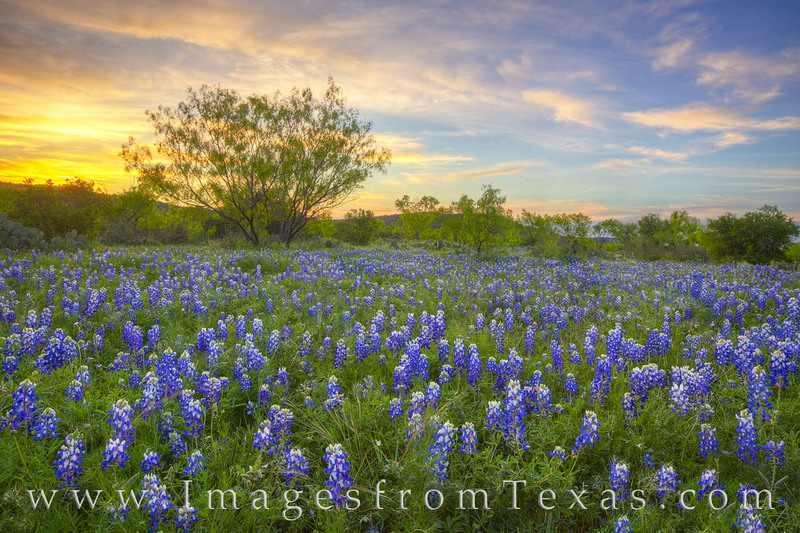 The last colors of a Spring sunset fill the sky as a small field of Spring bluebonnets rest contentedly. Patches of blue fill the Texas Hill Country when the winter rains are steafdy and the temperatures cool - all leading to a colorful spring bloom. This bluebonnet photograph was taken along a dirt road where nary a single car was seen on this evening. Photo © copyright by Rob Greebon.